After hearing about the moisturizing ability of Dove’s Advanced Care line of Antiperspirant Deodorant, I was excited to give it a try. I was a little hesitant to give up the clear gel deodorant I had been using to avoid any white marks on my clothes. However, Dove certainly delivered. The Advanced Care line promises 48 hours of odor and wetness protection, as well as NutriumMoisture, for nourished and moisturized skin. After wearing the product through a long day including stress and an hour and a half workout, my underarms were still fresh, with no odor! I also noticed a difference after a few days, in the texture of my skin. 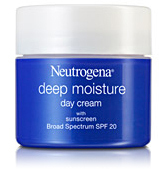 The NutriumMoisture really makes a difference compared to my previous deodorant which seemed to dry my skin. I would definitely recommend Dove’s Advanced Care Antiperspirant Deodorant. I had no regrets, and even though the product is a white solid, it still left my underarms residue free and didn’t show on my clothes at all. I may have found the best on-the-go face wipe that is out there. Or at least that I’ve tried. 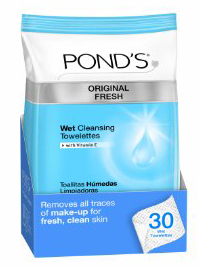 Ponds Original Fresh Wet Cleansing Towelettes have by far cleansed my face better than any other face wipes that I’ve tried. Others have been too dry, and I had to add water to them to even remove any makeup (which kind of defeats the purpose of on-the-go). These Towelettes are soft, moist, and have a woven texture that allows the cleansing solution to almost create a lather. The wipe exfoliates just enough to remove makeup and oil. Perfect for on-the-go, or days when you’re just too lazy to wash your face. Triple Anti-Oxidant complex – Helps to revitalize and refresh skin. 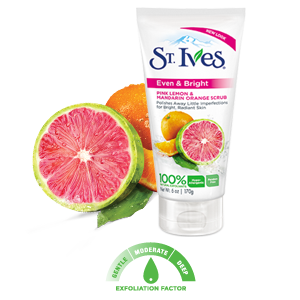 The best-selling Apricot Scrub from St. Ives may always be a #1 favorite, but a new contender is right up there with the best. A gentle scrub with a Vitamin C to even skin tone and an unbeatable fragrance. The scrub contains pink lemon and mandarin orange, which are both sources of Vitamin C and are known to help even skin tone. The exfoliants are more gentle than the Apricot Scrub, but still leave skin just as even and soft. Since the scrub is more mild, you can use it often since it is not as harsh on skin as the original Apricot Scrub. It is also sulfate-free so doesn’t dry skin, oil-free as to not clog pores, as well as hypoallergenic and dermatologist-tested. Not to mention the pink lemon and mandarin orange fragrance fills your shower with an amazing aroma! Moisten face with water. Dispense product onto fingertips and massage over face. Rinse off with water. Instructions on the product indicate 3-4 times per week, but the exfoliants are mild and the scrub is in our experience, gentle enough for daily use.